Sequence read-out of an Xpandomer using nanopore technology. As the Xpandomer transits through the nanopore, the distinct electrical signal of each reporter (corresponding to a single base) is identified. 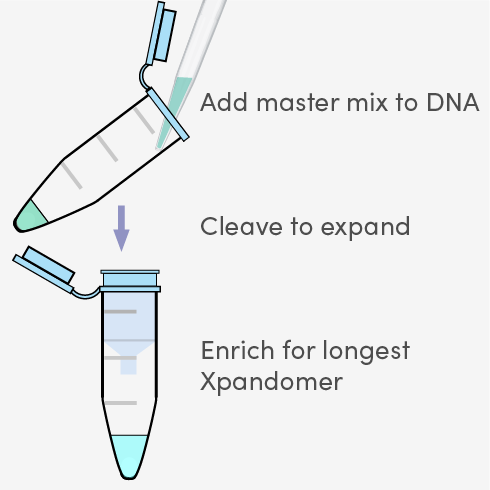 Much like with PCR, Xpandomer synthesis is based on the natural function of DNA replication. 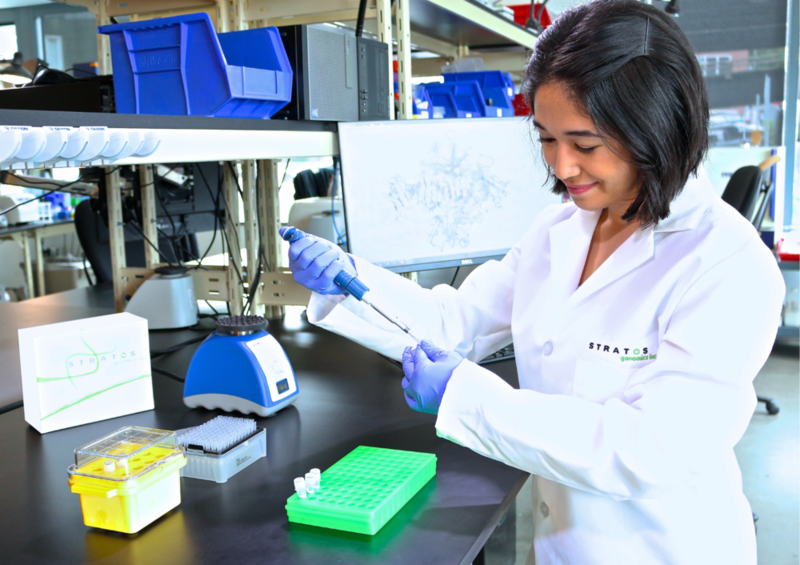 Stratos Genomics has developed expandable nucleoside triphosphates, called X-NTPs, that are highly engineered substrates for template-dependent, polymerase-based replication. Xpandomer synthesis is based on four X-NTPs, one for each DNA base. Using cutting-edge protein engineering, polymerases were designed to incorporate these modified nucleotides into Xpandomers, exactly copying the target DNA templates. With this elegant advancement, the SBX single molecule sequencing technology will have a similar disruptive impact on the NGS market as PCR did for molecular diagnostics. SBX empowers you to do more, from targeted oncology panels and whole-genome sequencing to rapidly diagnosing infectious diseases.